HTC readies two HTC One ads: Proclaims the One is 'everything your phone isn't'! 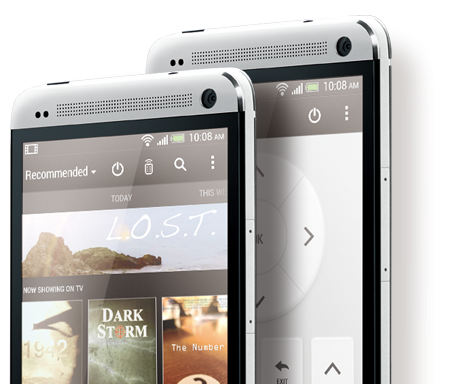 You might have heard about HTC's new flagship the HTC One, apparently it's causing a little bit of a stir. It looks like HTC wants to build on the momentum that their phone has established with a pair of adverts which will be released in America in the coming weeks. The pair of videos, which are embedded below, show off the angle which HTC are taking with their promotion of the 'Blinkfeed' feature. Essentially both ads show how the HTC One puts all of the 'information right here,' on the homescreen instead of you having to 'dig gopher style' through all of your news and social media apps. The last word on every adverts comes in the shape of the tagline, 'the new all metal HTC One, it's everything your phone... isn't.' It's interesting the way HTC are picking up on the plastic of Samsung and the arrogance of the statement seems to reflect the premium which the phone costs. They're not a bad pair of ads and they get the point across, hopefully this new ad campaign and the phone itself will be enough to pull HTC out of their hole!